Above the vocal cords are two quadrangular membranes. 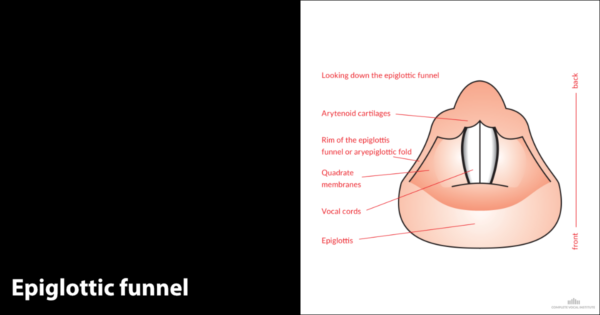 Together with the epiglottis at the front and the arytenoid cartilages at the back, they form a funnel, like a horn. The sides of this funnel are called the aryepiglottic folds. 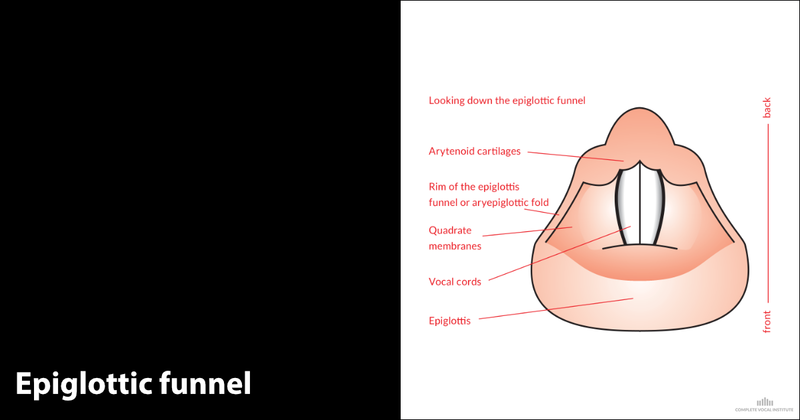 The whole funnel is called the epiglottic funnel. You can see the rim of this funnel, this horn, when you look down the throat with a mirror or a fibrescope. This funnel or horn can be shaped in many directions, which can affect the voice and its sound colour.